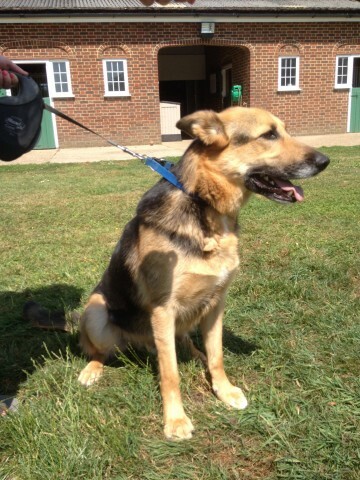 TEDDY is a 4 year old GSD x Collie and is a very friendly dog. Teddy is a short coated black and tan dog who is sadly at present in kennels in Essex.He has not had the best start in life but having said that he is a very affectionate boy who just loves human contact. He is house trained but has had little training. He needs somebody that is prepared to put in the time to train him and give hime a routine and boundaries he desperately wants, at such a young age things would soon sort themselves out.